Our team is committed to your total family dental health care! We offer complete and gentle dental care, and are committed to excellence in all that we do. Our warm and inviting office will provide a relaxed experience for your entire family. When you visit, our first goal is to establish a feeling of trust. Our job is to listen to you and respect your feelings and concerns, without judging your decisions. 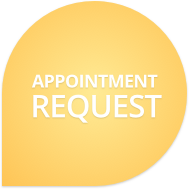 Dr. Sniscak makes it a point to carefully explain your proposed treatment plan and he will take the time to answer all of your questions. Only then will he take you through your treatment with the utmost of care. Modern dentistry has many techniques, local anesthetics, and relaxation methods to increase your comfort. The more involved you are in making your dental health decisions, the less room there is for fear and uncertainty.